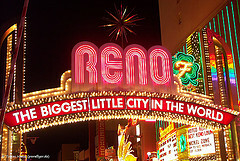 From the 3rd to the 4th of May, 2016, the Annual Conference of the Council of Geographical Names Authorities (COGNA) will be holding its conference in Reno, Nevada. Although the conference plan has not yet been finalized, according to the event organizers, the 2016 COGNA will feature a meeting of the U.S. Board of Geographic Names. For researchers interested in presenting a paper, stay-tuned to the COGNA website for upcoming conference updates as they become available.